Visitors to this year’s Flooring Show in Harrogate will be able to see Interfloor’s best in class underlays sporting clean new looks and upgraded technical specifications, plus some new additions to the portfolio designed to support retailers by providing an exceptional “one-stop-shop” supplying everything needed for the installation of floor coverings from one professional supplier. Interfloor has refreshed its heritage underlay brand Duralay® to position it as the contractors’ brand of choice and for more technical applications in the home such as under wood flooring and with underfloor heating. The best-selling luxury underlay in the UK Tredaire® has also been updated and more contemporary-styled POS materials, including a new foot tester, are being introduced to further support retailers and enhance the in-store experience for consumers. 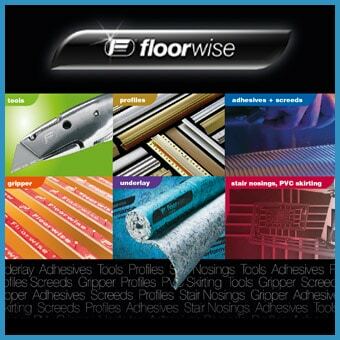 Providing better looking and better performing flooring products that genuinely help our customers to profitably grow their business is what our Flooring Show stand is all about this year. We’re looking forward to sharing news about improvements to our market-leading portfolio, ranging from technical advances to updated branded packaging, with the visitors to Harrogate, said Interfloor CEO John Cooper. The Interfloor stand will also include the Duralay® Durafit System, trusted for heavy-wear areas, which has new exclusive Bacloc backing and higher bonding achieved with new Durafit double-stick adhesives to give the system greater dimensional stability. There’s also be a chance to find out more about the enhanced Duralay® Timbermate Excel underlay suitable for the floating installation of solid wood and laminate floors, plus the Gripperrods® carpet gripper range, with new branded packaging and POS, which has been improved to give a highly competitively priced British-made quality product that stands out from the competition.